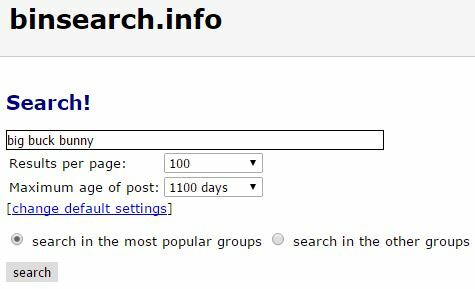 This guide walks you through my Usenet Tutorial 2017: How to Get Started with Usenet. We show you how to download movies from Usenet, where to sign up for Usenet, and how to “use” Usenet (lol). So get ready! View PostUsenet is a file-transfer technology that provides similar functionality to TORRENTS (See: How to Download Torrented Files). If you’re not familiar with torrenting, torrenting is a peer-to-peer file-sharing technology. It is possible to stream movies using a Usenet addon for Kodi. But Usenet is primarily used for download movies and adding them to your own home media server (which can be bought for as little as $50). So, Kodi is intended for streaming media – whereas Usenet is intended for downloading media to watch later (and keep forever!). I recommend using Kodi for streaming – and make use of Usenet & torrents for downloading! The “torrenting” file-sharing technology allows users to share files with eachother for the purpose of making a variety of media easily downloadable. Usenet has some similarities with torrents, but they’re not exactly the same thing. “Torrenting” is also referred to as BitTorrent. Torrents are hosted by individuals, so some torrents are completely unavailable because nobody is sharing them! In contrast with torrenting, Usenet does not require that you upload or share any files. This is an added security benefit, since Internet Service Providers tend to target uploaders of digital content as opposed to downloaders. This does not mean downloading content is safe – it just means they look more closely at those who upload content. When you use Usenetserver, your downloads are encrypted automatically. So third parties and ISP snoopers can’t see what you’re downloading. 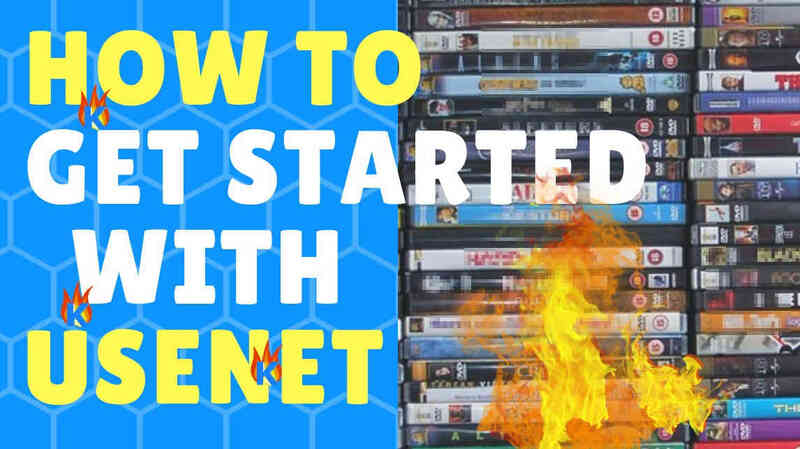 What Do I Need to Get Started with this Usenet tutorial? First, sign up for a Usenet account for less than $8/mo. Second, you need a Usenet indexer (free or cheap – see list below). 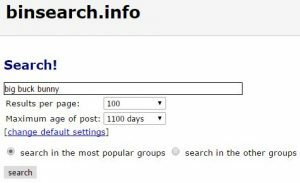 Usenet indexers let you find and search through .NZB files so you can use the .NZB files to download media! Last, you need a downloader program (free, list below). This is similar to how you need a torrenting program for downloading torrented files. Learn: A Usenet download app is called a newsgrabber (or “news grabber”). Almost. Usenet requires that you sign up for a Usenetserver account for about $8/mo. This is less than the cost of a N*****x membership, so it’s well worth it to me. And when I consider the fact that I will use my Usenet subscription to build a massive media library, the value is enormous. With a $8/mo Usenet subscription, I can download around 500 movies in the next month. So, that comes out to $.01 per movie. Pretty good (for that hypothetical situation), right? Step 3: Install a Usenet downloader, find your first .nzb file (which is the Usenet version of a .torrent file), and download away! 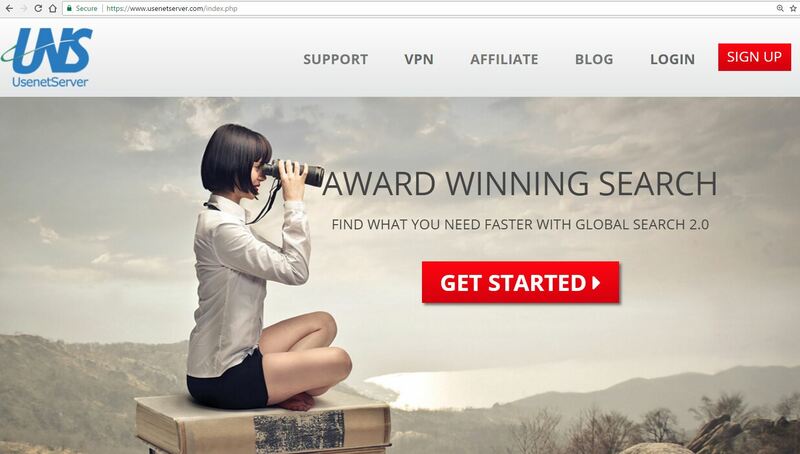 The first thing you need to do to get started with Usenet is to sign up for Usenet service. Make sure to use my coupon link to get a substantial discount. The final cost comes out to around $8/mo. As you sign up for Usenet service, make sure to write down your username and password! Click “Start Now” under “12 Month Plan” to make sure you get the best deal (47% savings vs. the Month-to-Month plan). Enter your email address, choose a password, make your payment, and click Place Your Order. 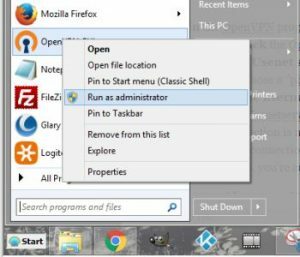 Install the OpenVPN program (free). If the installer asks about “TAP” drivers, make sure to Allow it. Go to https://accounts.usenetserver.com/view/ in your browser. If you’re not already logged in, then log in. You will then see your “UsenetServer Control Panel” screen. Download the OpenVPN zip file from Usenetserver. 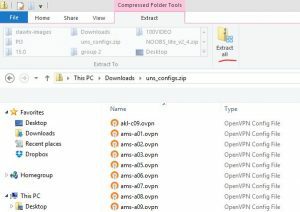 The OpenVPN zip file is the part of the Usenet tutorial 2017 process that allows you to extract and then install the OpenVPN program so you can connect directly to Usenet servers! 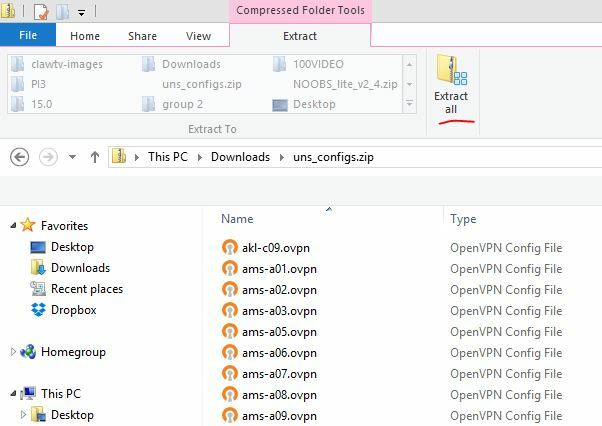 Extract the contents of the OpenVPN zip file to this folder: C:\Program Files\OpenVPN\config. Note: The OpenVPN software can only display 50 VPN servers – so you may want to use your File Manager to browse to C:\Program Files\OpenVPN\config and remove some .ovpn files until there are less than 50 .ovpn files in the “config” folder. Then select a Usenet server near you (by hovering over the server name with the mouse). Then click Connect in the mini-menu that pops out (I’m in Phoenix, so I chose a “phx” server). 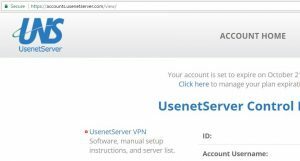 Now enter the username followed by “@usenetserver” (without the quotes). This is important! Then enter your password you chose when you signed up for Usenetserver. Click OK to make the connection. To check your connection status, right-click the OpenVPN icon in the system tray (by the clock). Then look to see if the server you chose has a check-mark next to it. If so, you’re connected! If you have trouble, contact Usenetserver support. They’re helpful! 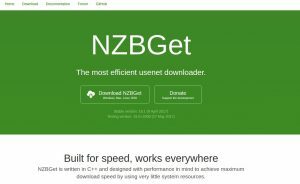 Step 3: Install a Usenet downloader, find a .nzb file, and download away! Wait for the download to complete and watch your movie! To launch your movie, try double-clicking on the download entry in your NZB downloader program. If the movie was downloaded in a movie file format (.mp4, .avi, for example) then the movie should start playing in your screen! Sometimes, however, the movie is downloaded in zip files. In this case, open the zip file and extract the movie inside – then watch the movie. Enjoy! The coolest thing about Usenet is that you can automate your downloads! After you’ve gone this far, it’s not much more effort to install CouchPotato. CouchPotato automates your downloads. Scroll down to read more Usenet tutorial 2017 updates on how to automate Usenet downloads with Couch Potato server. There are several Usenet download programs (known as “news grabbers”) available for all three major operating systems (Windows, Mac, and Linux). The Best Usenet downloader for Windows is Forte Agent (arguably – there are many, many programs out there). Although, Forte Agent gives you a 30-day free trial (so it’s not totally free). Keep reading. For Mac, the best news grabber is SnelNL (totally free!). There’s also SnelNL for Windows! By the way, it’s “SNELNL” if it were all uppercase (I wasn’t sure if it was “SNEINL” or “SNE1NL”, but now I know it’s “snelnl” with two L’s. And for Linux, I recommend SABnzbd+ (download from Sourceforge, totally free!). This is also the version of SABnzbdplus for Raspberry Pi and literally any other Linux-based devices. The official SABnzbd+ website is pretty nice. Check it out. For more advanced users, it’s possible to completely automate your movie downloading system. How? Use a free program called Couch Potato. Couch Potato is an easy way to automatically find and download movies using Usenet. Basically, after Couch Potato is all set up, you can look through IMDB and click “Download” using the CouchPotato browser add-on. Then CouchPotato finds the movie on Usenet and downloads it for you automatically! This is insanely cool, especially if you combine it with a Plex server. When you combine a CouchPotato Usenet downloader box with a Plex server, your movies download directly into your Plex movie library! Therefore, the entire process of finding a movie, downloading it, and putting it on your media server becomes just a single click for every movie! What Can I Download with Usenet? Much like the Internet itself, the content available on Usenet is determined by the people who use it and support it the most. Therefore, we can’t guarantee that all the content on Usenet is legal to download. Although we can guarantee that there will always be tons of free, legal, public domain content for you to download from Usenet. If you found my Usenet tutorial 2017 version helpful, then leave a comment on the KFireTV YouTube Channel! 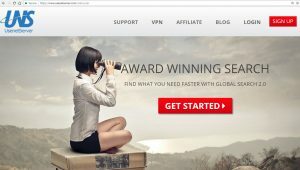 This guide walks you through my Usenet Tutorial 2017: How to Get Started with Usenet. We show you how to download movies from Usenet, so get ready!